Millions of people are disabling cable every year in favor of much cheaper alternatives. As more companies join the streaming market, options get cheaper and more customizable. Competition is a good thing for consumers because it typically results in a better service at lower prices. However, until there is a true al la carte service that allows users to pay on a per-channel basis, the cord cutting process can be difficult. Every site has their own “cord cutting guide”, but only ours allows you to input the channels you really care about to make sure you’re not paying any more than you have to. Our web app makes cord cutting as simple as filling out a form. This site was started because we realized how many streaming options there are and how difficult it is to find the cheapest option without sacrificing content. You’ve probably heard of Netflix, Hulu, and maybe even Sling TV, but what about the dozens of others like Philo TV or CBS All Access? We’ve developed a web application that gives users access to our immense database of channels and streaming services to ensure you’re getting the biggest bang for your buck. Our web application is the best way to figure out the right streaming service for you because it’s customized to your channel preferences. We’ll discuss the app later in this guide, but there are a few other steps you should take before you finally cut the cord. What internet speed do I need for Sling TV? What internet speed do I need for Netflix? This seems like a simple step, but it’s actually the most important part of cord cutting. Cord cutting is an incredibly personalized process that is determined by your location and which content you want to watch. It’s impossible for us to tell you which service is the best unless we know what channels you actually want to watch. This is where so many other cord cutting guides fall short. You might Google “Sling TV versus DirecTV Now” and the review may rate Sling TV higher, but in some cases it’s not true. For example, Sling TV costs more money and has less channels than DirecTV Now if you specifically want to watch ESPN, Disney, and USA Network. There are a lot of other channel combinations that can cause a seemingly cheap service to suddenly become the most expensive option. The first step of our cord cutting guide is probably the most work for you. Try and generate a list of what everyone in your household watches on cable. If your kids watch a lot of Netflix and you only use cable for the news, then you only need to write down which news stations you want. If your kids also watch Disney, DisneyXD, or the History Channel, make sure those also make it to the list. 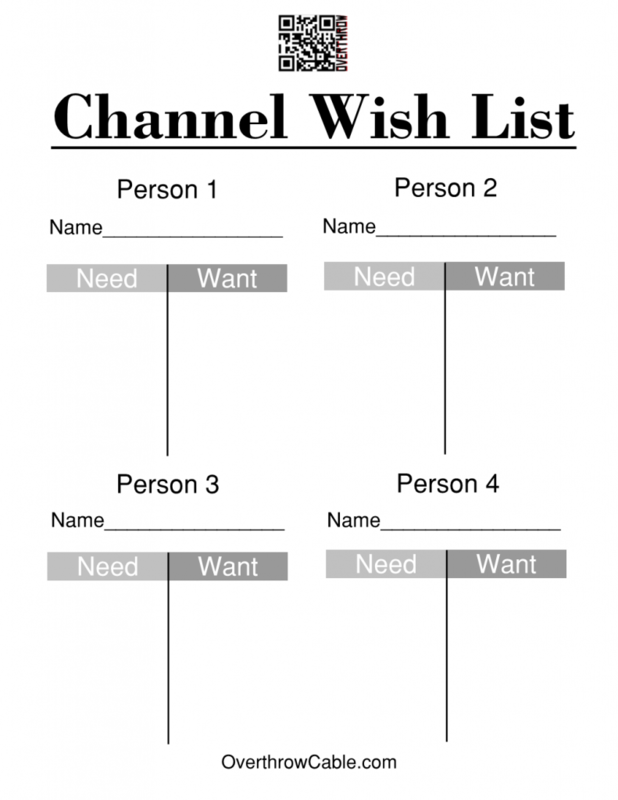 As you can see from the picture above, we try to separate our lists into “Needs” and “Wants” channels. There’s most likely a service or combination of services that will get you everything you’re looking for, but you’re going to pay for it. For example, let’s say you want USA, AMC, and CBS. The cheapest option for these three channels will be Sling TV’s Blue package with the CBS All Access add-on for a combined total of $30.99 a month. However, if you don’t really care about CBS you can save $5.99 and only get the Blue package. While someone else might consider CBS the most important channel on their list, CBS might not be worth $5.99 a month to you. You’re going to get some extra “free” channels included no matter how you slice it. Since there’s no way to pay per channel, finding the most fitting package is your only option. Removing a channel or two might drastically reduce your bill, but we considered that in our web app. We’ll show you every channel you want that’s included in the service as well as any additional channels you’ll be getting. From there, you can figure out which service has the best channels for you for the right price. Before you can actually disable your cable, you might need to find a new internet service provider. Your current ISP may offer internet only options, but it’s probably worth your time to look at other options. You might be able to find something a lot cheaper since you’re no longer required to bundle cable into it. The easiest way to figure out if there is a way to get cheaper cable in your area is to use the site BroadbandNow.com. BroadbandNow maintains a database of thousands of different internet providers and lists them based on their availability per location. They show the different internet speed options, their price, and any add-ons you might need to pay for. 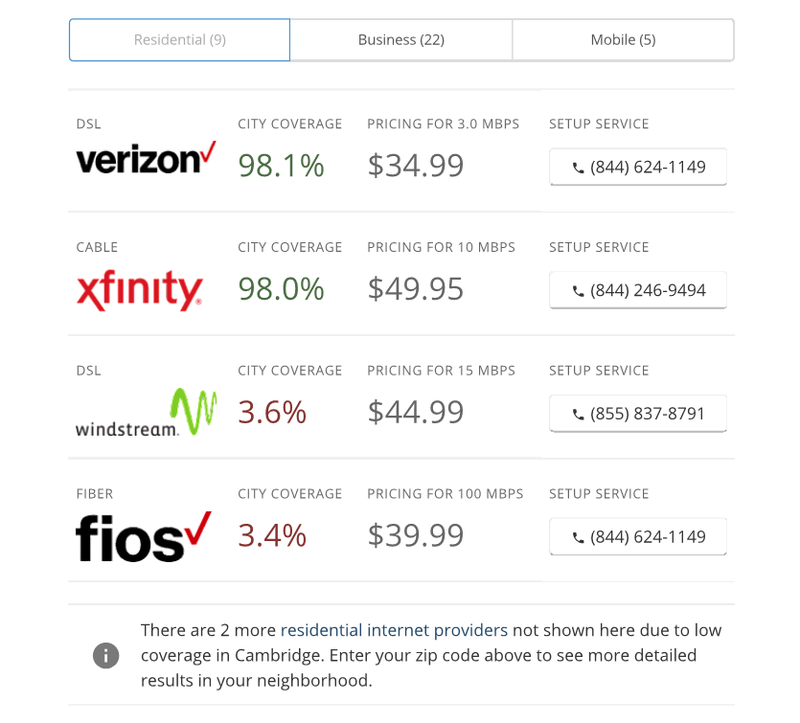 The picture below is an example of internet providers available for our Boston office. As you would probably expect, both Verizon and Xfinity are on the top of the list. Although these are two of the bigger names for internet providers, Broadbandnow has a total of almost 2,700 different providers at the time of writing this article. There’s plenty of smaller cable providers that offer much better deals than the major brands that you might not otherwise see. The list for our Boston office shows Verizon as the cheapest option, but that’s not completely true. The $34.99 a month shown is only for 3.0 MBPs which is pretty low if you’re looking to stream content. What internet speed do you really need though? Here are some responses we received from two of the major streaming services when we contacted their customer service with that exact question. Sling TV recommends at least 3.0 Megabits per second. Sling TV recommends at least 5.0 Megabits per second. Sling TV recommends at least 25 Megabits per second. Netflix recommends at least 3.0 Megabits per second per device. Sling TV recommends at least 5.0 Megabits per second per device. Sling TV recommends at least 25 Megabits per second per device. With these numbers in mind, we can see that the 3.0 MBPs offered in Verizon’s cheapest option isn’t going to be enough. If you click on the grey arrow to the right of the service’s phone number you’ll see additional options drop down. Because the Verizon option is just for DSL, the speeds only go up to 3.0 MBPs and we know we can’t use it. Check out the drop downs for some of the other options and get a feel for what you’ll pay a month for internet when you cut cable. Make sure that you add any set-up fees and additional costs for a Modem and/or router or a DVR. Some companies, like Xfinity, will show you a 1-year promo rate but will increase the price for the second year of your contract. To make it a little easier, we made an equation template that you can use to figure out the exact monthly cost of internet. Some services, like Verizon Fios, offer a 2 month promo code instead of honoring it for the full first year. You might have to adjust the equation for situations like this, but it should give you a good start. Before you pay for a monthly subscription through Sling TV or another service provider, you should check to make sure you have to pay for anything at all. Major television networks such as ABC, CBS, NBC, PBS, and plenty more are broadcast as over-the-air as signals you can pick up with an antenna. These channels are 100% free and 100% legal. The availability of each station depends on your location, but there’s a really good chance you’re able to pick up at least some of them. Although this table has a lot of major networks, there are also a good number of smaller channels that are broadcast over-the-air such as additional local networks. 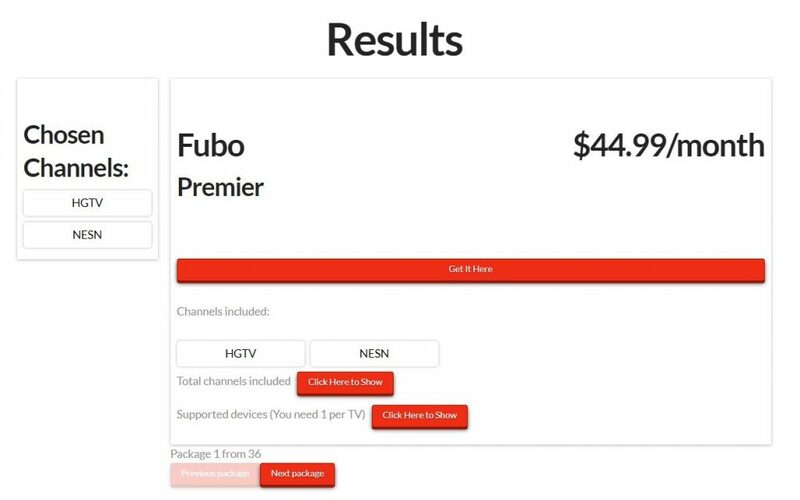 To find out exactly which channels you could pick up at your home, we recommend using TVFool.com. We’ve written a big guide on how to get free cable TV channels by using an antenna that discusses how to read a TVfool report and also provides some useful antenna information. Before you dive too deep into our guide, check out the colored box on your TVFool report to learn which networks might be available. If you look at the ==Channel== section on the table and find the Netwk column, you’ll see the abbreviations for the available channels. You should be able to pick up Green and MAYBE some Yellow stations with an indoor antenna, Green and Yellow with an attic antenna, and Red with a super strong outdoor antenna. Our guide will explain some of the better brands for each model, but we recommend reading our cable guide to learn more about your TVFool report before you decide on an antenna type. Even if only some of the channels you want are available through an antenna, it can still be worth the purchase. For example, if you can pick up CBS with our recommended indoor antenna, you’ll be looking at a one time fee of under $20 to watch CBS. To add CBS to Sling TV or to get CBS All Access, it costs $6 a month. That means after the 4th month of having that service, you would be spending more than if you had just bought the antenna in the first place. An antenna in conjunction with a streaming service typically results in a lower price than relying solely on the service. Our newly released web application is the reason we started this website. When we were cutting cable ourselves, we learned there are too many options available to find the perfect service. Since every service offered different size packages with a variety of channels, we were afraid we’d choose one and miss a channel we really wanted. We decided to start a spreadsheet. The spreadsheet allowed us to add services and then search by channels to figure out who was offering it. As we continued to learn about more cord cutting services, our database kept expanding. Eventually, it got was so big that we knew we had to share it. Instead of offering access to the spreadsheet, we decided to program a web application that was easier to use and navigate. It also lets us make sure that the database is as up to date as possible. When you go to the web app home page, you’ll see a form. 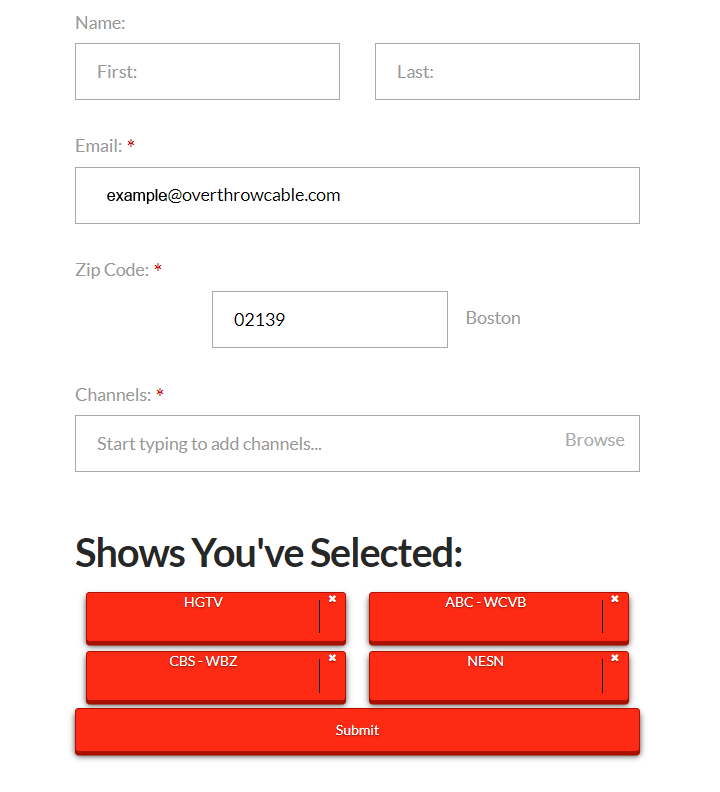 The form has input fields for your name, email, zip code, and then a search bar for channels. The channel field doesn’t let you put in any values until you enter a zip code (There’s no reason for the drop down to have Houston’s local stations if you’re located 1850 miles away in Boston.) Inputting your information into this form is how we can give you a completely personalized cord cutting guide and ensure you’re getting the best and cheapest streaming service for you. The drop down will start to auto-populate with available channels as you type. When the correct one pops up, simply click it and it will be added to your requested channels. Continue to do this until you have a list of all the channels you really want to watch without cable. Keep in mind that the more you add, the more expensive your plans will be. We recommend starting with the “must-haves” and seeing the results. When your list is complete and you hit the submit button a results page will pop up. The results are organized so that the cheapest option with the most requested channels shows up first. 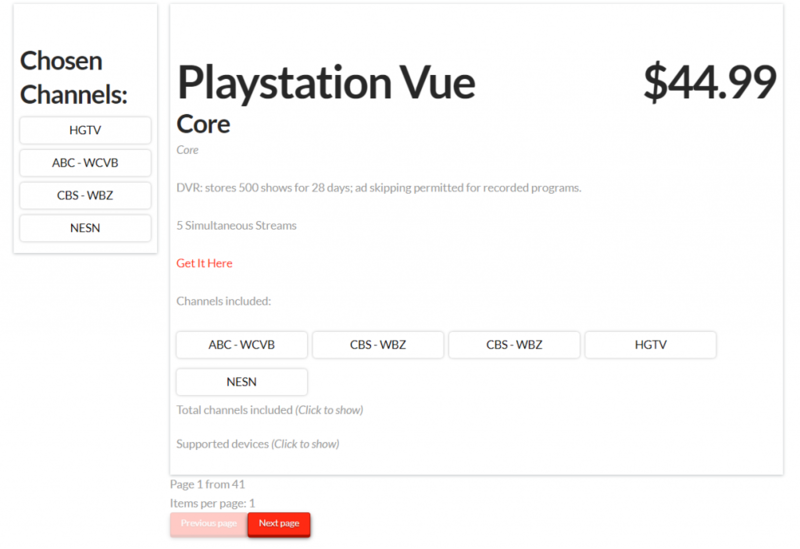 As you can see from our example, PlayStation Vue’s “Core” package is the cheapest for what we requested. According to the app, for $44.99 a month we’re getting every one of the channels that we wanted. If you click the (Click to show) button below the channel list, we’ll also be able to see the 70 other channels that are included with the service. Before you follow the link shown on the results page to actually purchase the service, make sure to take a minute to look over these channels. You can also click on the next button to see more services that might be a bit more expensive, but have a completely different channel lineup. You might find a channel you forgot about that’s definitely worth the extra $2 a month! Included with each result will be a list of streaming devices that support the service. You’ll need one of these for each TV that you want to be able to watch on. The good news is that they are a one time purchase and can be used on most other services if you want to switch in the future. The first month might cost more than renting your cable box, but without a monthly fee the savings quickly add up. We’ll talk about the specifics of the major streaming devices below. Each streaming service has its own list of devices that it can run on. Our web app that we explained above shows you a list of each compatible device and also provides a link for you to purchase it. Keep in mind that you’ll need one device for every single TV you want to use your service on. If you’re looking to watch live TV on three different TVs, make sure that you order three separate devices. You could always carry the device from room to room, but you won’t be able to watch the TVs simultaneously that way. In addition, at the top of each service’s outline in the web app, you’ll see a number for how many simultaneous streams the service supports. Make sure that you don’t buy three Roku devices for your three TVs if the streaming service only allows two at the same time! Roku is one of the most frequently recommended streaming devices on our website. They’ve been at the forefront of hardware and continue to improve their user interface as well as their technical specs with each model. The only thing they haven’t been increasing is their price! We recommend them due to their low cost, incredibly simple interface, and the fact that they support almost all of the streaming services. We try not to recommend antennas or streaming products that tie you down. The entire point of cutting cable is to remove the contract and put the freedom back into your hands. If you start off with a month of Sling TV and realize you’d like to swap to PlayStation Vue, there’s no reason your hardware shouldn’t allow it. Roku is perfect for this kind of flexibility and will save you a lot of money in the long run. 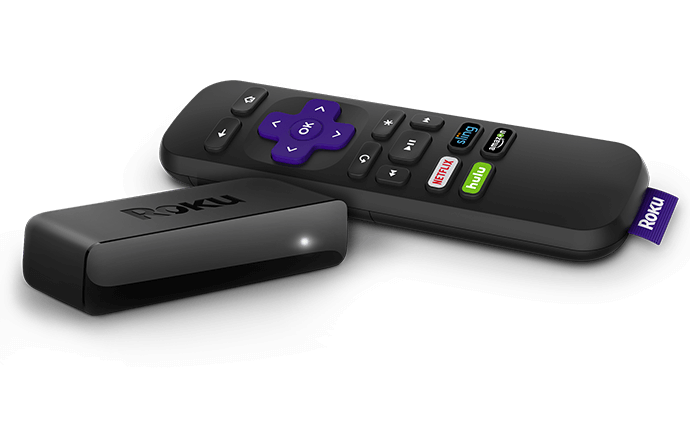 Another benefit of Roku is that they offer a variety of models to fit multiple needs. You’re not forced to pay a premium for a handful of 4K devices if only your main TV supports 4K. You can get a few of their cheaper models, The Roku Express, for under $30 for your extra TVs and leave the $99.99 Roku Ultra in the living room. If you’re not worried about voice command or 4K support, you can meet somewhere in the middle and get a Roku Streaming Stick for $49.99. Roku also comes free with a few services. 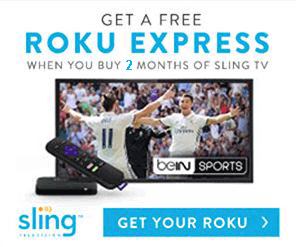 If our web app said that Sling TV is the cheapest option for you, you can save even more money by pre-paying a few months of the service and getting a Roku for free. Make sure to check out Roku’s page before you order any and see if you can cut down your cord cutting bill even more. Google Chromecast is a little bit different than most of the other devices in the streaming industry. Most devices, like Roku, are standalone pieces of hardware that act like a computer plugged into your TV. You turn them and can download different apps for each streaming service to play through the device. Chromecast isn’t quite like that. You still have to plug the Chromecast into the TV, but unlike the others, it doesn’t have native apps of its own. You have to “cast” (mirror) the content from another device to the Chromecast for it to play. For example: If I wanted to watch Agents of Shield on my Chromecast, I would first open up the ABC page on my computer or mobile phone. Then, I’d log into my account and find the correct episode I wanted to watch. I can then click on the “cast” button and tell my Chromecast to start playing on my TV. Once it does, the Chromecast takes over and my phone doesn’t use any extra data or battery life during the stream. It might seem less convenient than some of the other streaming devices, but it’s not without its perks. For one, the Chromecast is much easier for multiple people to control. Since it runs off of a computer or a cellphone, it’s really easy for everyone to start casting what they want to watch. Whoever is going to use the Chromecast just needs to make sure their phone is connected to the same network and they’re good to go. The Chromecast is also much better for streaming content that doesn’t have a native app. While most of the streaming devices have a browser function, streaming from those is a lot more difficult than using the full powered browser of your phone or computer. You also don’t have to suffer through the user interface that the other services offer for their non-major services. Netflix and Hulu will typically have great apps and interfaces, but watching Instagram videos on your TV is a lot harder with a Roku than a Chromecast. 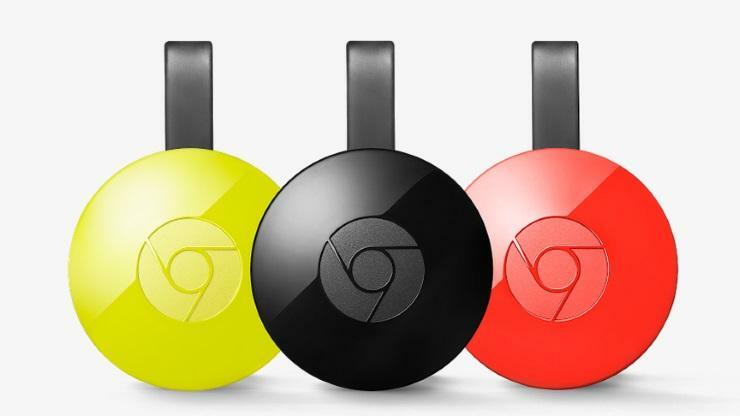 Chromecast is another really cheap option that makes it perfect for secondary+ TVs. If you’re okay casting from a desktop or a phone, give the Chromecast a shot. It’s hard to imagine another devices comes out with a control that’s better designed or more powerful than your smart phone. Amazon has been incredibly good at disrupting markets and cord cutting is no exception. 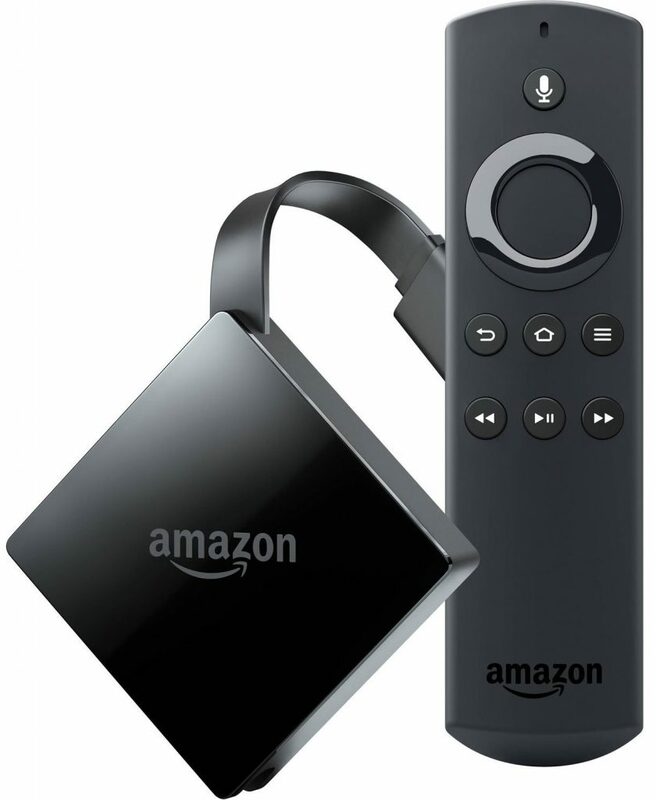 With the release of the Amazon Fire TV, Amazon showed that streaming hardware can be intuitive and powerful without costing a fortune. It’s one of the cheapest options for a 4K device and comes backed by one of the biggest companies in the world. The design is similar to a Roku and it functions much in the same way. 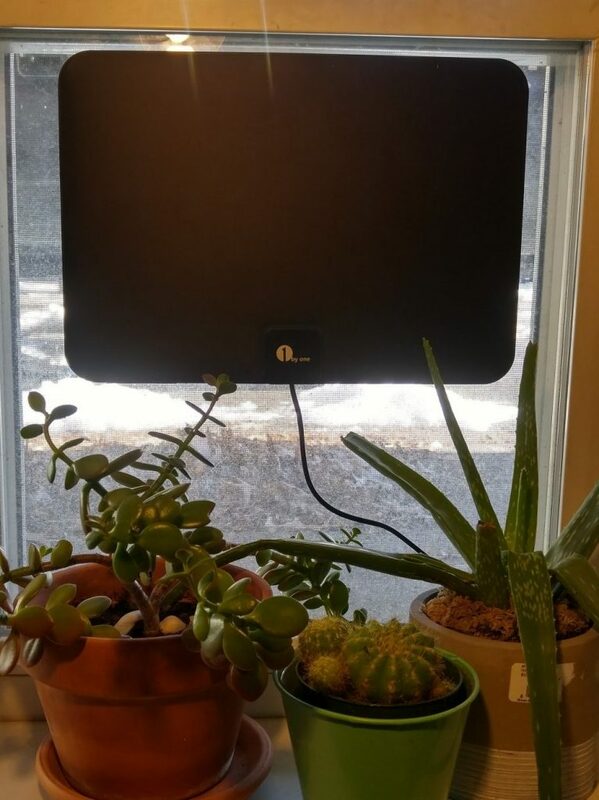 It connects to the back of the TV with it’s built in HDMI cable and then hangs there out of sight. If you have a wall mounted TV, you can use the USB power port to power it directly from your TV, but might see a decrease in 4K performance. The added power adapter will increase the quality of your 4K stream, but you’ll also have to deal with the cable being visible from behind your TV. If you’re TV isn’t 4K capable yet and you’d like to save a bit of money, Amazon also offers a Fire TV Stick that can stream video up to 1080p for less than half the price. It’s similar in functionality, but is a stick rather than a dongle. It has slightly worse internal hardware and an older software version, but for 1080p video you shouldn’t have any issues. Our only major complaint about the Fire TV is the constant quarrel between Google and Amazon. As a result, there is no native YouTube app for the Fire TV. You have to use a browser app to navigate to YouTube and the interface suffers as a result. As cord cutting and alternative TV options continue to become more mainstream, the rivalry between Google and Amazon could cause users to suffer. If you’re a big YouTube fan or find yourself using Google’s content more than Amazon Prime Video, you might be better served avoiding the conflict by not getting a Fire TV. 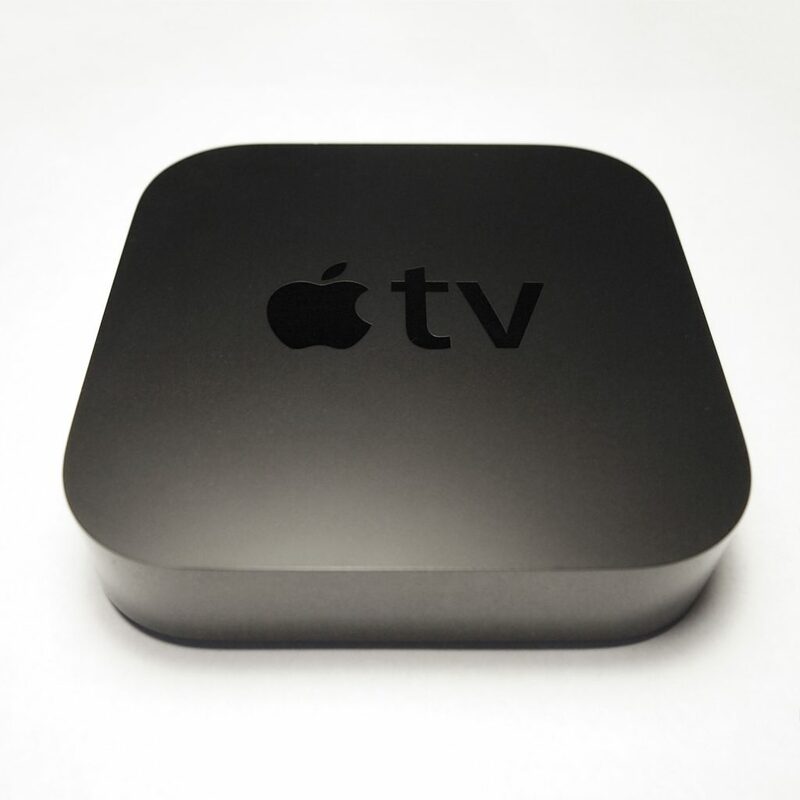 Apple TV is a powerful piece of hardware that won’t disappoint users who have come to know Apple’s quality of design. However, at $150 for the non 4K version and $179+ for 4k, it’s far from the cheapest cord cutting option. The premium comes from the brand recognition and the high quality remote, not necessarily the device itself. You can get a simpler Roku device, a much cheaper Google Chromecast, or a feature-comparable Amazon Fire TV and achieve almost everything you’d get with an Apple TV. That doesn’t mean it’s without its advantages though. If you’re immersed in the Apple ecosystem then you’re not going to find a much better streaming device than an Apple TV. If you buy movies or TV shows from iTunes, subscribe to Apple Music, and/or have an iPhone or iPad, the Apple TV is a fantastic option for your streaming setup. A lot of the other devices don’t support these services and none of them do it nearly as well. In particular, casting content from an iOS device onto an Apple TV is far easier than most other devices. The other devices can cast Android devices easily, but either struggle or are unable to cast Apple’s devices at all. One of the most frustrating (and admittedly petty) issues we have with the Apple TV is that it doesn’t come with an HDMI cable. The price to include one in the packages can’t be more than a couple of dollars, and at over $150 you’d expect the Apple TV to be hook-up ready. 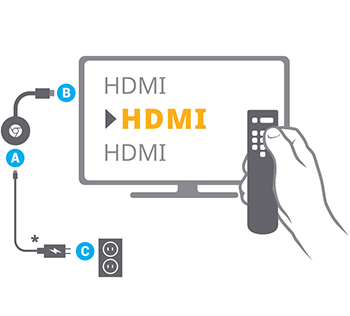 HDMI cables are cheap enough and readily available, but it doesn’t alleviate our frustration that it’s not included. The Siri Remote that does come with the Apple TV is quite nice though. It has a pretty cool touch pad and Siri voice controls that help make navigation and setup of the Apple TV’s software a breeze. If you’re considering an Apple TV, it might be worth the extra $20 to get the newer Apple TV 4K. You may not have a 4K TV yet, but it’s a cheap enough investment now that might help you save in the future.